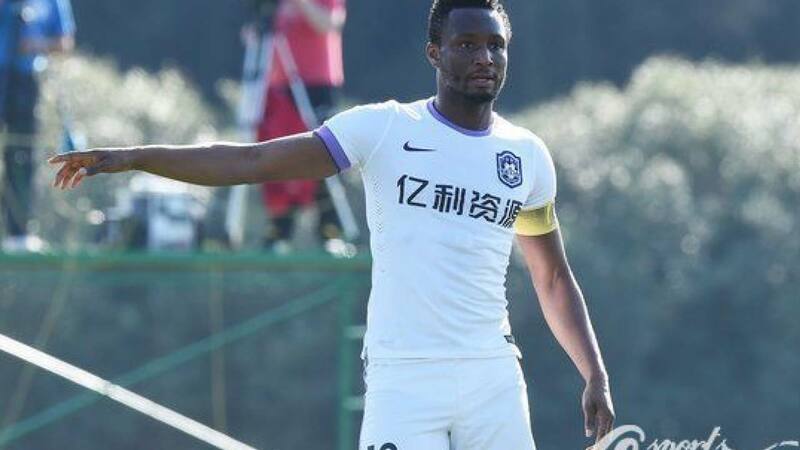 Super Eagles’ Captain, John Obi Mikel scored his first goal for Chinese Side Tianjin Teda to power them to a 2-0 win over Chongqing Lifan in the Chinese Super League, reports owngoalnigeria.com. Mikel recovered from a knock that was supposed to keep him out for 10 days, and was handed a start by coach Jaime Pacheco, who also picked Mikel’s Nigeria national team teammate Brown Ideye to lead the attack. The former Chelsea ace, who now plays as a central defender, showed his predatory instinct in the 48th minute when he reacted quickly to tuck home the opener for his team after the Lifan goalkeeper parried a well hit drive from Mbaye Diagne. During the course of the game, the 29-year-old proved his effectiveness at both ends of the pitch as he made two vital clearances to deny Lifan goal scoring opportunities. Mikel hard an injury scare in the 90th minute when he went down unchallenged and had to be taken off the pitch for medical attention with what looked like a recurrence of the injury that he suffered in the earlier game. However, it proved not to be the case as he returned to the pitch and lasted the entire duration of the game, while Ideye was substituted after 65 minute. Ideye is still waiting for his first goal in China.